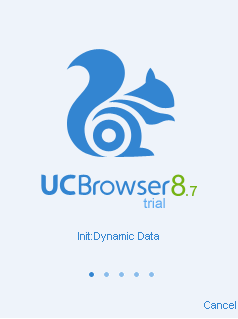 New UC browser 8.7 pre released and hacked for accessing free Internet on Airtel with blazing 3G speed! 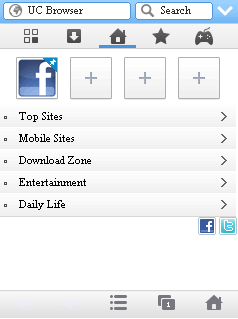 This new version has some minor updates to old UC Browser 8.6 and some speed tweaks. This UC 8.7 is exclusively pre released unofficially by HackingPalace. It is not yet available on Internet and nor released officially by UC team. So, our valuable users have a golden chance to get it early. Using this hacked software you can also download unlimited. Please note that Airtel is nowadays blocking users who downloads more than 1GB per day. I'm sure that 1GB is more than enough for a user in a day even in 3G speed! (but it is not enough for me!). You can download application and view instructions below. dont waste your time to post spam messages. I know it is you, rameez. good work, how could u able to hack ucweb for airtel mod..
good work, how could u able to hack ucweb for airtel free gprs. @arun thanks for notifying about he bug. I have updated the app and now working fine..
How do u configure it. Isnt there any configurations for it?.....like in nokia java phns. U can mail me on abdulyasuiliyasu@gmail.com. Hi der me from bangalore;) It's not working ... Its been charged when I use it 8.7 as usual.... but previous version uc 8.6 is good but it has downloadin problem like if the file size is 4mb. After 1.3 or so it'll stop downloadin i have to pause and resume it to continue. not working in upwest..plz help..